Do Basement Subfloor Systems Work? Q: "Is It Worth the Cost to Install Basement Subfloor Panels?" A: The mandate of installing basement flooring is clear: keep the finish floor dry. Not always a simple matter, even in a basement that appears to be dry. Unsealed concrete basement floors can "wick" moisture up to whatever happens to be touching it. Homeowners and contractors for ages have been inventing ways to keep basement flooring dry--some methods better than others. Sandwiching plastic vapor retarder, 2"x4" "sleepers," and a layer of plywood is one such (successful) method, but this reduces your basement ceiling height. Rigid form insulation with plywood screwed on top is another method that works with some success. What Are Basement Subfloor Panels? Fits together like a jigsaw puzzle. How cool can that be? High Cost - One typical product prices out at $4.25 per square foot, uninstalled--a price meeting or even exceeding the cost of some finish floors. 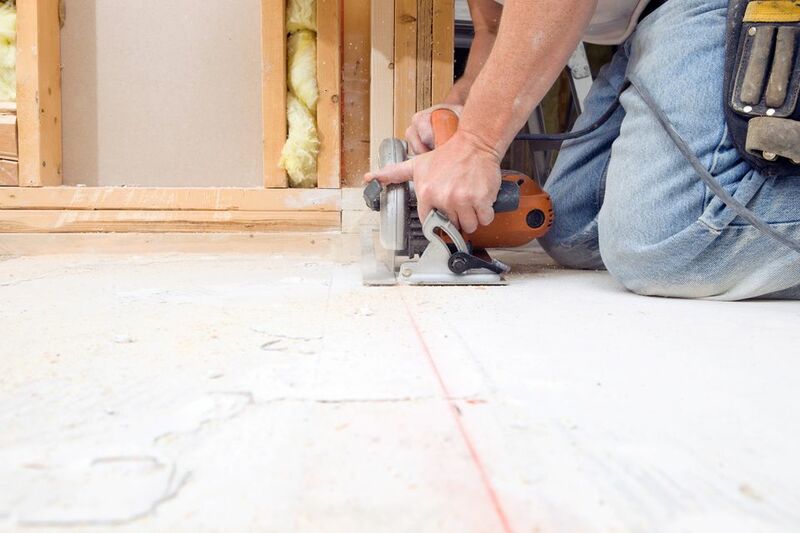 Cost alone of these subfloor panels is usually the make-or-break factor for most homeowners. Greater Necessity for Level Floor - One chief advantage of the sleeper system is that those long two-by-fours can bridge some pretty significant cracks and depressions. By contrast, these subfloor sleeper panels are much smaller and thinner and can bridge almost nothing. Grinding down high spots and bringing up low spots (with floor level) is necessary before using subfloor panels. Basement subfloor panels get A+ marks for convenience. But looking at it purely on a materials-basis, I see no clear advantage to these subfloor panel systems over the ad hoc methods. 2x4 sleepers, plywood, plastic sheeting, hardware, etc. = under $1,000. Add 10% wastage, and it comes to about $1,200. Subfloor panel system = At a cost of $8.49 per panel, the cost of a 800 sq. ft. installation would be about $1,700 (Lowe's). You'll want to add 10% wastage, so the final figure would be about $1,867.